TravelyMyth offers accommodation focusing on unique locations around the globe. 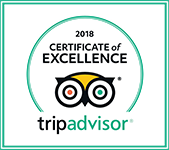 As we continuously endeavour to create special and unique experiences for our valued guests, we are super proud to be acknowledged by them as one of the best. 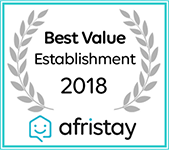 AfriStay has over 20 000 listings in more than 2 000 unique locations across Africa. We received their prestigious Best Value Accommodation award in 2018. A valued nod to our efforts to continuously offer the best value for money for an establishment of our caliber. Each year TripAdvisor gives Certificate of Excellence awards to various establishments. This exclusive award is not only a reflection of the continued excellence in hospitality, but on the owners too. TripAdvisoris trusted by many, so we're very happy to have this award on display. 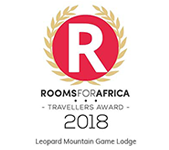 RoomsForAfrica is a premier accommodation booking network, working with thousands of establishments across South Africa to be able to give travellers the best holiday experience possible. The RoomsForAfrica Travellers Award stands testament to our continued excellence. The Hotels Combined Recognition of Excellence is awarded to a elite group of outstanding accommodations based on a very strict set of international criteria. Needless to say we are extremely proud to have received this feather in our cap. Based on valued guest reviews and feedback we have once again received an award for continued guest satisfaction from SleepingOut, an accredited international booking platform. 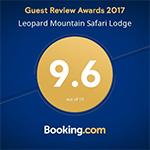 Based on consistently fantastic guest feedback, international online travel agent giant, Booking.com, have awarded us a coveted Guest Review Award. Our aim to please attitude and special guest care have earned us this very special award for a number of years running. Recognised as South Africa's premier travel and tourism award, the Lillizela Tourism Awards recognises businesses who work passionately and with pride to deliver a world-class product and service and who's delivery grows South Africa's global destination competitiveness.